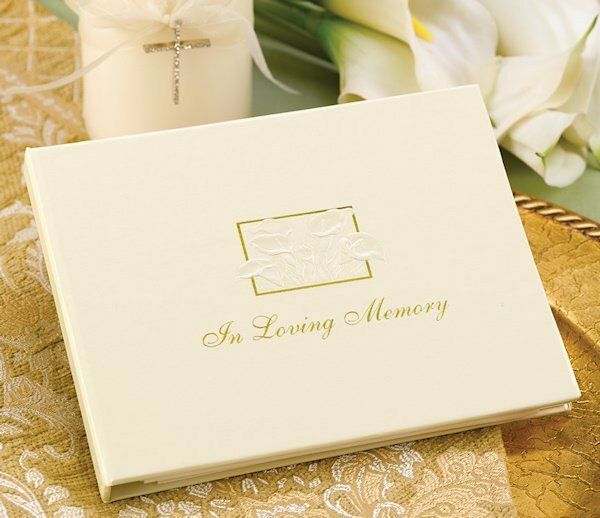 This stylish ivory guest book features the phrase "In Loving Memory" stamped in gold foil and a pair of calla lilies embossed on the leatherette cover. 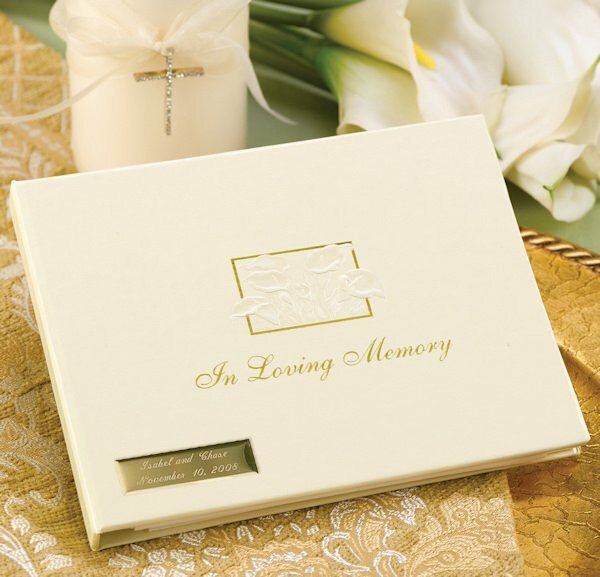 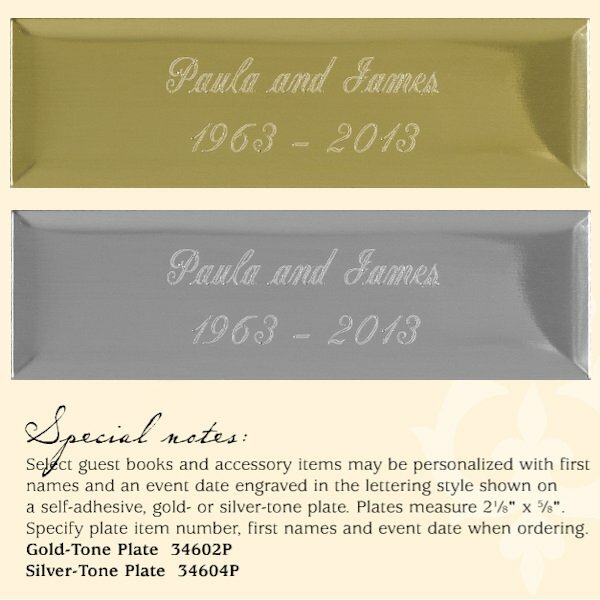 Document the names of each person who attends a funeral or memorial service for your loved one. 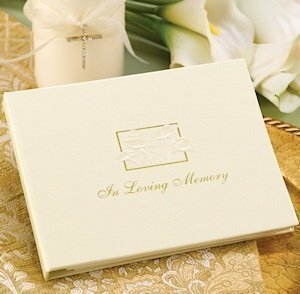 The 7-1/2" by 5-3/4" book records up to 800 signatures and uses a spiral binding to allow the book to lay flat when open for convenience of hand-writing names or messages.